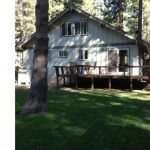 1980 Tooch St South Lake Tahoe CA offered at $324,000Reduced 15000.00 Newly remodeled home in great neighborhood. Hardwood floors, new cabinets, granite counter tops, all new appliances, new bathrooms, new fire place, newly painted inside and out, and fully furnished. Don't waste time with short sales and foreclosures, everything is done with this fine new listing.Continue Reading!